The MIT Radio Society hosts a monthly swapfest, so I went there this morning to see if I could find any useful metalworking tools. And indeed I did! 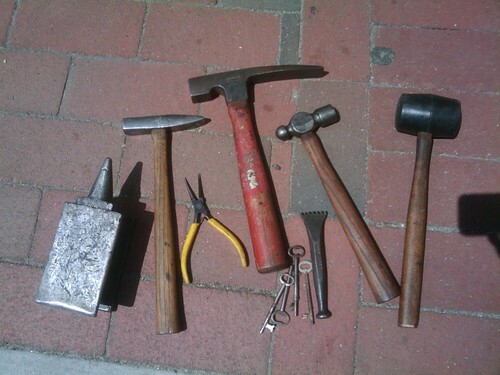 These tools will be a lot of help to me in forming and texturing metal. And I got them for a great price. It was definitely a worthwhile trip!